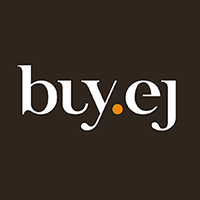 Ready made rooms to go, complete with high quality decoration products and accessories, are available online in our ‘Buy EJ’ e-shop. 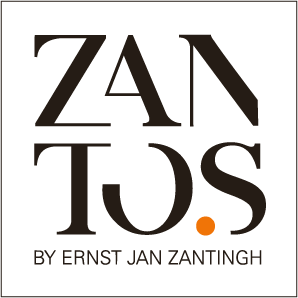 Our virtual digital showrooms showcase stunning custom designs from ZANTOS Creative Director Ernst Jan Zantingh which are available to transform your dreams into reality at the click of a mouse. Entire rooms are designed and made with the finest quality materials using our ‘Buy EJ’ online service. Furnishings will be installed for each of the ‘EJ‘ rooms. Colour schemes will be meticulously chosen for the walls, while fabrics and decoration accessories will be selected with the client’s well-being in mind for a relaxing, harmonious and peaceful environment. There are two price ranges to choose from to meet your needs and budget constraints. The ‘Mid-range’ and the ‘Luxury range’. Both lines will carry the ‘EJ’ signature label of the “Dutch Touch”, synonymous with refined quality in materials and a comfortable sophisticated style. All of the ‘EJ’ furnishings and products from both ranges will be skillfully designed to create a harmonious and relaxing ambiance for you. The BEDROOM 1 design of ‘BUY EJ’ is the Mid Range proposal. The furniture and lighting accessories have been selected from quality designed houses by ZANTOS to create an aesthetic and harmonious feeling throughout the room. The dark brown leather headboard for the bed complements the lighter wood framed, mirrored wardrobe and side tables by EICHHOLTZ. Linens were selected from mrsme.NL. Fabrics by Roma. Wall sconces by Artdelight. Price €4,800 (can vary according to flexible decoration selections). The Luxury range will provide the client with the highest level of refinement and comfort using only the finest quality materials in furniture, bed linens, curtains, and lighting. Every detail is taken care of for you, from the lighting fixtures to the thread count of the linens. 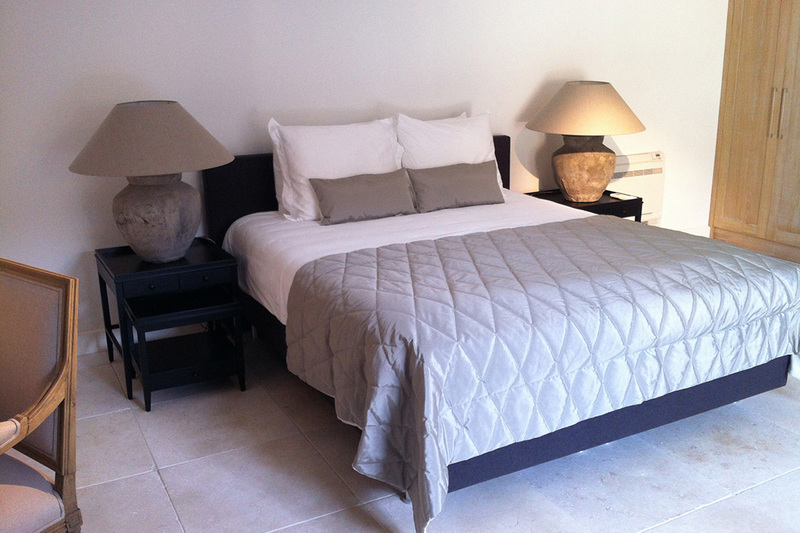 For the luxury bedroom, decorative accessories have been added for an elegant and sophisticated ambiance. The soft, warm glow from the wall lighting was chosen to create a haven of peace and relaxation (wall sconces by Artdesign). Fabrics were selected from Roma, and luxury bed and bed linens were carefully selected from Duran and mrsme.NL to insure a pampered luxurious 5 star comfort. Fluffy cloud soft pillows and beautiful bed linens are added to promote restful sleep. The large cream-coloured bedside lamps and wall lighting, by Artdesign, create an atmosphere of elegance and a sense of well-being. The refined classic side tables by EICHHOLZ, dark and rich wood, perfectly compliments the pure and airy feeling of the modern bedroom decor. Price: €10,000 (can vary according to flexible decoration selections).